At regular intervals during the Earth's yearly orbit around the Sun, it passes through clouds of debris, triggering meteor showers as these grains of dust and rock hit the atmosphere and burn up. The clouds of debris exist because they are left behind by comets that pass through the inner solar system. When comets experience outgassing as they approach the sun and form tails, the leave behind material that floats in space and marks the comets' paths. Eleven of these cometary patches produce fairly predictable showers that are well worth watching. Meteor showers, such as the Orionids and Perseids, are usually named for the constellation from which the meteors appear to radiate (their radiant). If you trace the path of an Orionid meteor backward, for example, it should seem to start from around the constellation Orion. This also can make it obvious when you are watching a meteor shower and see a meteor that is unrelated to the shower that is occurring, because it has a different direction and may often have a different speed and length and even colour as well. The Zenithal Hourly Rate (ZHR) used to describe meteor showers is the amount of meteors expected per hour during the peak of each meteor shower. One of the best meteor showers of the year is one of the least observed because it occurs on cold January nights. The Quadrantids can have a ZHR of 90. The Quadrantids are named after the defunct constellation Quadrans Muralis, which is now the territory where Hercules, Bootes, and Draco meet. Quadrantids can appear from January 1 to 6, but the peak is usually January 3/4. The parent comet of the Quadrantid meteor shower is Comet 2003 EH1. After the Quadrantids there is a dearth of good showers until the April Lyrids, which are only moderate at best. The April Lyrids occur between April 19 and 24, with the peak around April 22. With a ZHR of 12, April Lyrids seem to radiate from the constellation Lyra. Comet Thatcher is the source of this shower. Between May 1 and 8, the Eta-Aquarids peak with a strong ZHR of 45 on May 5/6. This shower is one of two annual showers produced by debris from Halley's Comet. Trace these meteors backward and you will land close to the star Eta in the constellation Aquarius. Like April's meteor shower, June's also appears to come from the constellation Lyra. With a viewing window between June 10 and 21 and the peak on June 15/16, June's Lyrids has a ZHR of 9. The source of this meteor shower is unknown. The Southern Delta Aquarids is like the May meteor shower in that it seems to radiate from one of Aquarius’s stars, in this case, Delta. With a long viewing window from July 15 and August 15, you have a month to catch a Southern Delta Aquarid, with your best odds occurring around the peak of the shower on July 28/29 with a ZHR of 19. Like June's meteor shower, the parent comet for this shower is unknown. One of the most-viewed meteor showers of the year, the Perseids occurs on warm summer nights with a ZHR of 80, giving most people a handful of meteors while only having to observe for a short period of time. The Perseids, like the July meteor shower, also has a long time span from July 25 to August 18, with the peak on August 12/13. The August meteors appear to come from the constellation Perseus, a region of sky where Comet Swift-Tuttle once left behind its dusty debris. The Orionids is the second meteor shower that got its origin thanks to the passage of Halley's Comet. With activity occurring between October 16 and 26 and a peak on October 21, these meteors seem to come from the constellation Orion and have a ZHR of 25. 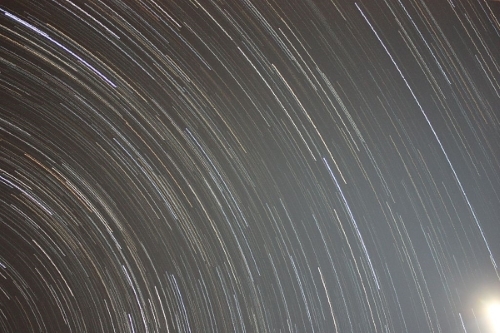 The last two months of the year each have two fairly good meteor showers. The Taurid meteor shower peaks from November 4 to 7 with a ZHR of 8 from the constellation Taurus. Comet Encke is the parent of this shower. The next shower is the Leonids, which rains down between November 15 and 19 with a peak around November 17/18. Radiating from the constellation Leo, the ZHR of the Leonids is 10, although it does have occasional outbursts on good years. Comet Temple-Tuttle created the Leonids. The Geminids is one of the best meteor showers of the year, with meteors spotted December 7 and 15 and peaking on December 13/14 with a ZHR of 80. Trace Geminids back to their home constellation of Gemini. The second December shower, the Ursids, has its radiant in Ursa Minor, the Little Dipper. From December 17 to 24 you can spot Ursids, with your best chance during the peak on December 22 with a ZHR of 9. Comet Tuttle is most likely the progenitor of the Ursid meteors.